Kisaan’s are restless in Bardhaman. They are waiting for WiFi services to be revamped, not for their entertainment but for their business. Actually, the government has set up a camp in Kisan Mandi in Ausgram of Debshala to buy rice directly from farmers. 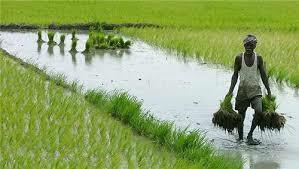 Farmers were supposed to be enrolled online to get good price for selling rice. But afraid, there is no active internet connection which in turn is slowing the process from past 20 days. Due to this technical issue the whole process is going backwards. “Debshala is far away from our village. Rice is virtually impossible to sell here. However, BDO says he is trying to resolve the problem as soon as possible.” One angry farmer spoke. The issue is taking too long to resolve as a result, farmers are coming back every day. While political parties have also started to make this as a public issue. Slow internet hampers online paddy selling in Bardhaman 0 out of 5 based on 0 ratings. 0 user reviews.